Ethos- your business buzzword for the day. One that’s very important to us. By definition, ethos means the characteristic spirit of a culture, era, or community as manifested in its beliefs and aspirations. Well that’s just the base level. To Knox Carpets and our team, it means so much more than that. In our minds, every successful business has principles and ideas behind it—incentives for engagement and business growth. So our ethos is founded on the reasons that the community needed a business like ours, and the reason why Knox Carpets and every member of our team fits the bill. When you think of the ethos of Knox Carpets, the first word that comes to mind should be passion. We are so passionate about our industry. We are impassioned about the work that we are doing, the niche that we are filling in the area and the growth that we can see over the coming years. We were passionate about the industry before we became this merry band of misfits, but it certainly has helped to cement our reason to come into work every day. 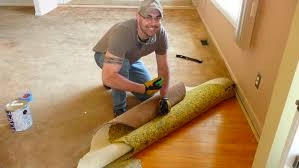 When you choose Knox Carpets you can rest assured that the team member showing up to install your flooring solution is doing so, because they believe in the different that a flooring solution can make when it comes to your dream home or company. Some may call us enthusiasts, others may call us obsessed, but when we walk into a room and we see a damp, blank or dirty floor- that doesn’t sit well with us. We think of the future holiday celebrations, the years when your children and family members grow up, the adventures and the games that take place. We think of life and we think of the carpet and/or flooring solution that will play into this. Alright, alright, enough about passion. What about hard work? Hard work is another part of our ethos which is actually essential in order for our business to grow and for us to maintain our edge in the industry. You say hard work? We say worth it. We don’t think that success is confined to a 9-5. We believe that our customers should be able to reach out to us any time of day in order to get the communication cadence and content that makes the most sense to you. We believe that our customers can push back, can have the transparent conversations to ensure that they’re getting the product that they expected. We believe that our customers are our priority number one and if they’re happy, well not only are we happy, but we’re pushing through to the next level of success. While there are plenty more principles that our ethos is founded on—these are two of the top. Check back in to the Knox Carpets blog in order to learn what makes us tick and why we’ll show up as the number one flooring installation company in this area and beyond.